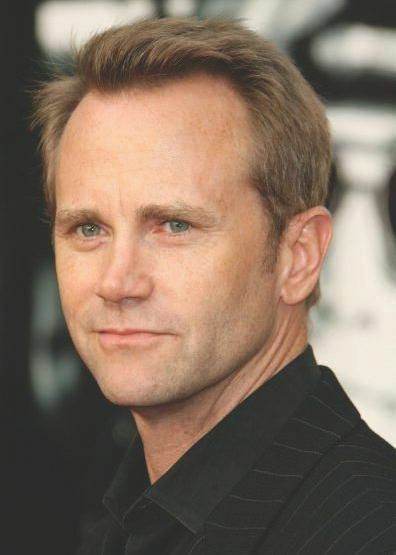 Alumnus Lee Tergesen will speak at the Graduation Ceremony for AMDA New York's Summer 2013 graduating class, on Saturday October 5, 2013. The epitome of the “working actor,” Lee Tergesen has more than 85 film and TV credits and is constantly adding more. A native of Ivoryton, Connecticut, Lee set his sights on an acting career while in elementary school. After graduating high school, he moved to New York and entered AMDA’s Studio Program. Lee’s professional career began soon after graduating from AMDA. He consistently landed stage roles while also waiting tables at the Empire Diner to pay the bills. It was there he met and befriended writer/producer Tom Fontana. While helping Fontana move from New York to Los Angeles, Lee was introduced to a casting director who immediately cast him in a film — Point Break, starring Keanu Reeves and Patrick Swayze. After Point Break, Lee starred in the cult-classic Wayne’s World films, then began a run of almost non-stop TV work that continues to this day. His first parts as series regular included “Weird Science” and the role of Officer Chris Thormann on the Fontana-produced “Homicide: Life on the Street.” Lee’s friendship with Fontana would pay off again when the writer created the celebrated role of Tobias Beecher in his groundbreaking HBO series “Oz” specifically for him. Lee’s recurring TV roles have included such shows as “Desperate Housewives,” “Generation Kill,” “Army Wives,” “The Big C,” and “Copper.” He starred on ABC’s “Red Widow” earlier this year and is currently working on “Longmire.” He won the award for Best Actor at the Bordeaux Film Festival for his performance in BARK. Additional film credits include Monster, Helena from the Wedding, Red Tails, and the award-winning indie film Silver Tongues. Look for him in the upcoming independent film Desert Cathedral. A recent return to the stage has brought Lee’s career full circle. He starred opposite Amy Brenneman (“Private Practice”) in the critically-acclaimed New York and Los Angeles productions of the play “Rapture, Blister, Burn,” a 2012 Pulitzer Prize finalist. When Lee is not busy lighting up the stage and screen, he is happy spending time with his wife, Yuko Otomo, and playing the role of father to their new daughter, Lily.